The lecture will be given in English. It will take place on Thursday, March 15th 2007 at 6.30 p.m. at the DIJ. March 15, 2007	/ 6.30 P.M. The lecture will focus on different corporate governance approaches, namely the US-American one, the German one and the Japanese one. The core issue will be a critical evaluation of the shareholder-orientation of corporate governance. The old dichotomy between shareholder and stakeholder approach will be criticised. The lecture will have a deeper look into the relation between shareholders and managers and ask which should be the position of management in corporate governance. It will be demonstrated that even the US-approach is heavily leaning towards the management perspective. In this perspective shareholder-orientation turns out to function as a constraint. The lecture will provide an overlook over legal models of corporate governance, modes of rule-making in this field and will analyse both with the tools of modern economics. 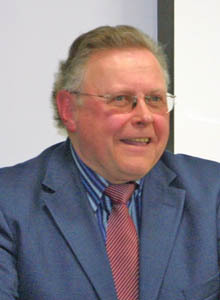 Christian Kirchner is Professor of Law and Economics at Humboldt University, Berlin. He is member of the German Japanese Law Association and the American Law Institute. He has been involved as a consultant for law making projects in several countries in Asia and Europe. His major fields of research are business law, competition law, regulation, corporate law, accounting, corporate governance, law and economics, institutional economics.